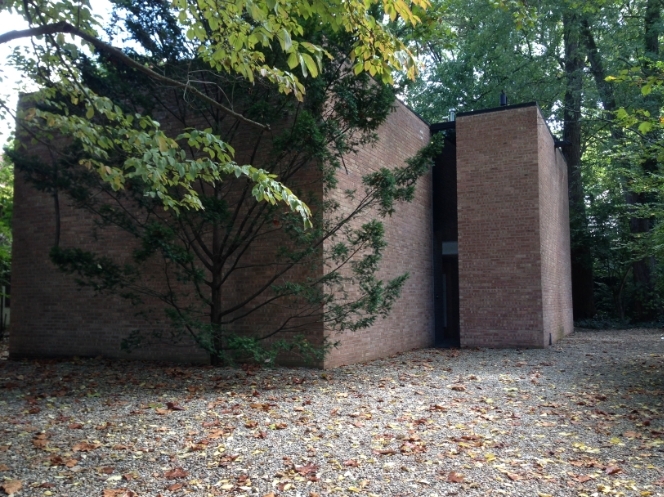 The Erlanger House was designed by architect Jack Sherman Baker and completed in 1964. The residential house is located in Urbana. 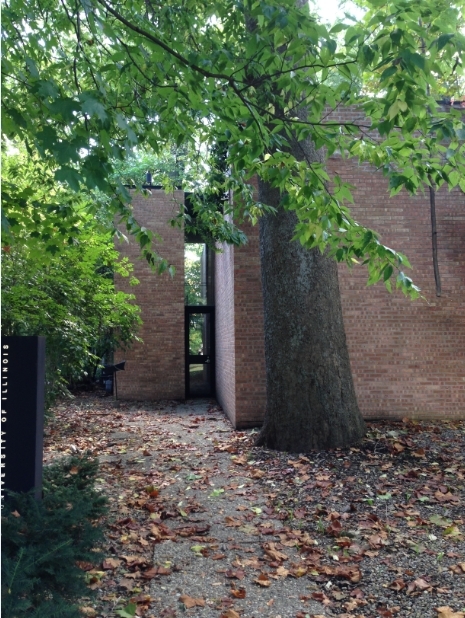 The building was designed by former University of Illinois architecture professor Jack Baker in 1964 for his wife Margaret Erlanger. His primary intentions were create an accommodating space for Margaret to dance in while also maintaining a comfortable and livable environment. To achieve this goal, they worked closely throughout the design and building process. The result is a magnificent building with spacious areas, hard wood floors, and large narrow windows to let light in but still maintain privacy. They happily lived there together until her death in 1975. Following her death, Jack donated the building to the University of Illinois. 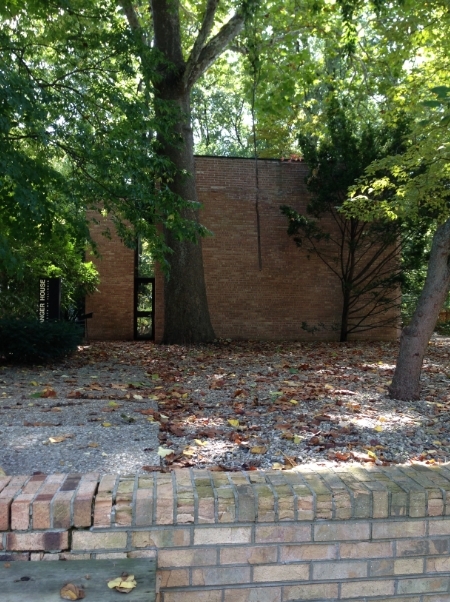 The Erlanger house is located near Carle Park in Urbana, Illinois and is now owned and operated by the School of Architecture. Margaret Erlanger lived in the Erlanger House until her death in 1975. Some of the many features of the Erlanger House are spacious rooms and high ceilings. These are intended for dance performances, hence Margaret Erlanger’s role in constructing the University’s Department of Dance. After her death, she granted her house to the University and the School of Architecture. The Erlanger house is now used to hold receptions for visiting artists or scholars. The Erlanger House is considered a residential building type. 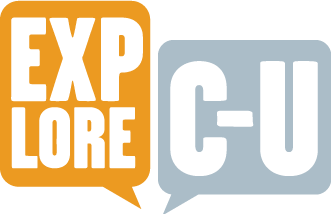 Michal Najder, Alyssa Jaje, and Alice Lam, “Erlanger House,” ExploreCU, accessed April 21, 2019, https://explorecu.org/items/show/296. "AIAS Illinois - Events: A Night in the Erlanger House." AIAS Illinois - Events: A Night in the Erlanger House. N.p., n.d. Web. 21 Nov. 2013. "AIAS Illinois - Events: A Night in the Erlanger House." AIAS Illinois - Events: A Night in the Erlanger House. N.p., n.d. Web. 21 Nov. 2013. "Erlanger Home Now a Comfortable Place for Visiting Artists | News-Gazette.com." Erlanger Home Now a Comfortable Place for Visiting Artists | News-Gazette.com. N.p., n.d. Web. 21 Nov. 2013. "Erlanger Home Now a Comfortable Place for Visiting Artists | News-Gazette.com." Erlanger Home Now a Comfortable Place for Visiting Artists | News-Gazette.com. N.p., n.d. Web. 21 Nov. 2013. "Erlanger House | News-Gazette.com." Erlanger House | News-Gazette.com. N.p., n.d. Web. 21 Nov. 2013. "Jack S. Baker - Biography." Jack S. Baker - Biography. N.p., n.d. Web. 21 Nov. 2013. "Jack S. Baker - Selected Projects." Jack S. Baker - Selected Projects. N.p., n.d. Web. 21 Nov. 2013. "Space, Movement and Light: The Architecture of Jack Sherman Baker." Space, Movement and Light: The Architecture of Jack Sherman Baker. N.p., n.d. Web. 21 Nov. 2013. "University of Illinois CONTENTdm Collection : Item Viewer." University of Illinois CONTENTdm Collection : Item Viewer. N.p., n.d. Web. 21 Nov. 2013.